Police said a transient is dead and another homeless man in custody on suspicion of murder Sunday after a fight outside a grocery store on the east side of El Cajon. 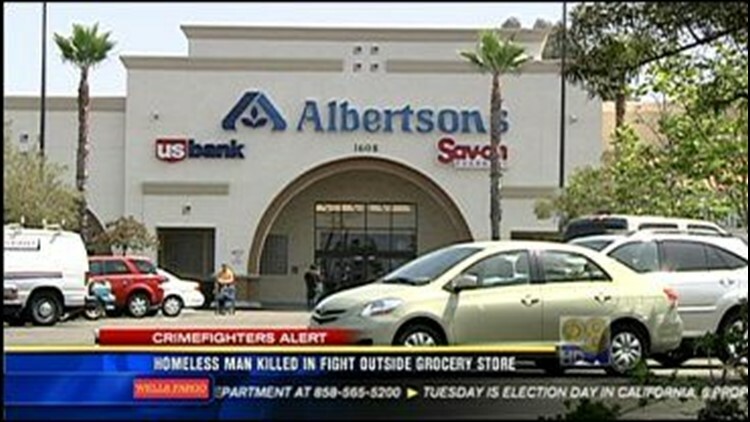 Officers were sent around 9:40 Saturday night to the Albertson's at 1608 Broadway to check on a report of a body in front of the store, El Cajon police Lt. Tim Henton said. The victim, whose name has not been released, appeared to have suffered injuries to his face during the altercation and was pronounced dead at the scene, Henton said. The investigation led detectives to Michael James Russell, 39, who was arrested, Henton said.